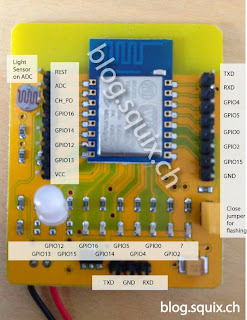 Description in this blog article for this test board worked for me. However i expect RXD and TXD labels are wrong on this board. See test with another ESP8266 board. USB TXD need to be connected with test board RXD. USB RXD need to be connected with test board TXD.